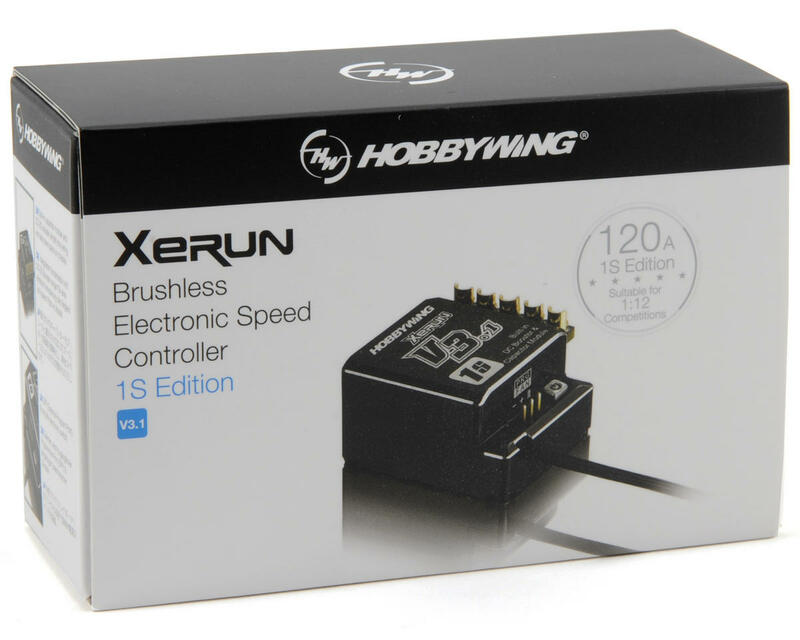 This is the Hobbywing Xerun 120A V3.1 Sensored Brushless ESC, specifically designed for 1/12 scale 1S LiPo battery use only! 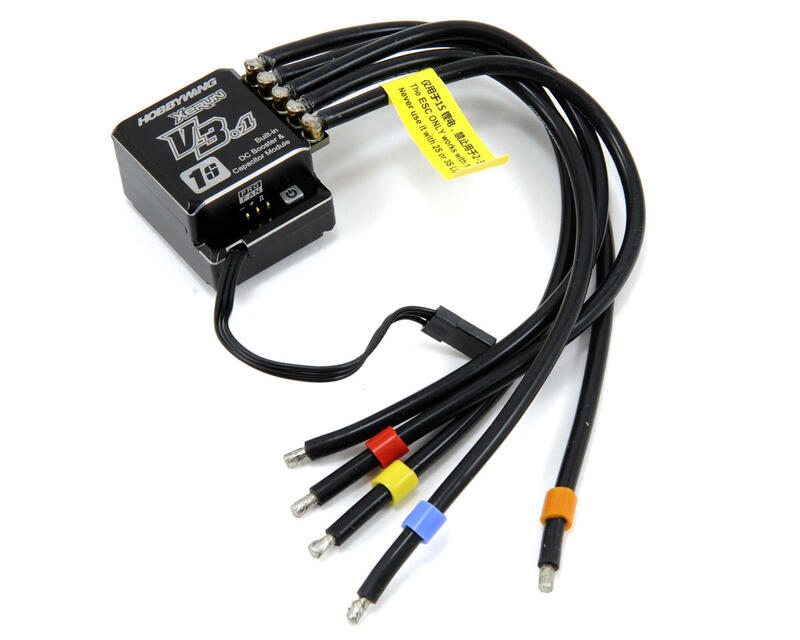 The Xerun 120A V3.1 features an electronic switch, aluminum upper and bottom case, external programming port, a powerful switch mode BEC and a built-in capacitor module and DC-DC booster. Designed to be small, lightweight and efficient, the 120A V3.1 is a powerful 1/12 scale solution for serious racers looking for the competitive advantage. With 10 factory preset programming profiles and the ability to tweak the programming with extreme precision, the Hobbywing 120A V3.1 is the ESC to own. Specially designed for 1/12 scale on-road competition. The eletronic switch, capacitor module and DC-DC booster are all built-in, save space on chassis. Same Factory Pre-set Profiles as XERUN-120A-V3.1 (2-3S version). Up to ten profiles can be stored in the memory and imported or exported easily. Factory pre-set profiles include: Blinky mode, Modify Mode, Stock mode, Practice mode, etc. Aluminum Upper and Bottom Case, giving better heat dissipation, and allowing higher current. External Programming Port (EPP), easy to connect and also a power port for external cooling fan.